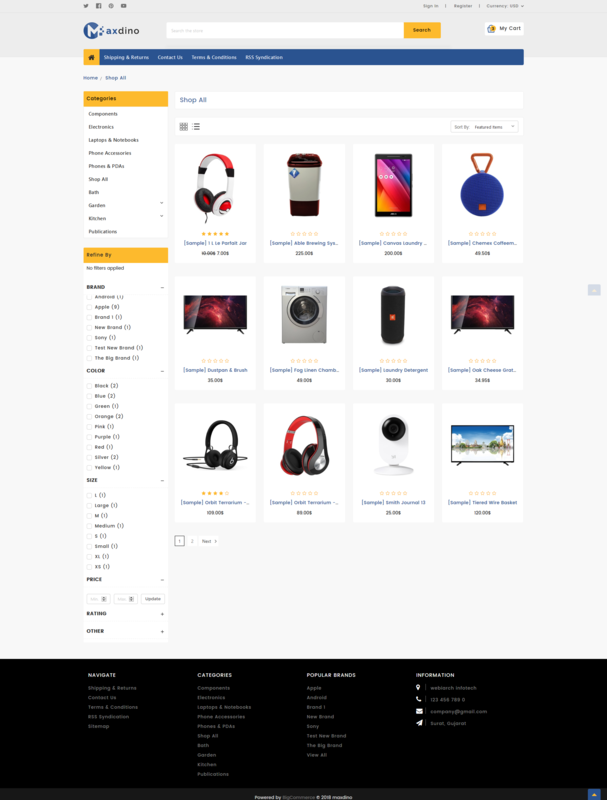 Maxdino – Multipurpose Stencil Bigcommerce Theme is a modern, clean and professional BigCommerce theme is fully responsive, it looks stunning on all types of screens and devices. Maxdino theme it was built with Stencil Framework with wonderful features like slider,wishlist,quickview,currency. 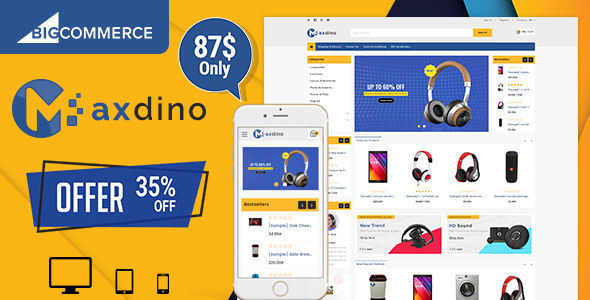 Hope you will have a fresh experience with Maxdino Multipurpose Stencil Bigcommerce Theme! 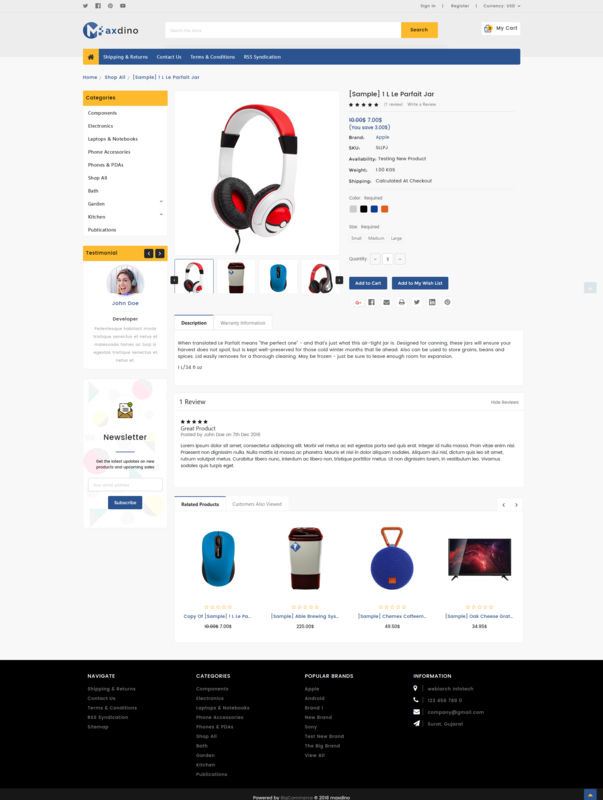 Features & Extensions Foundation CSS framework Responsive and mobile friendly On-site SEO ready Unlimited Colors & typography options One click install Mobile Friendly Custom Slideshow Mega Menu Multi Language Customer Reviews AJAX add to cart Product Slider. 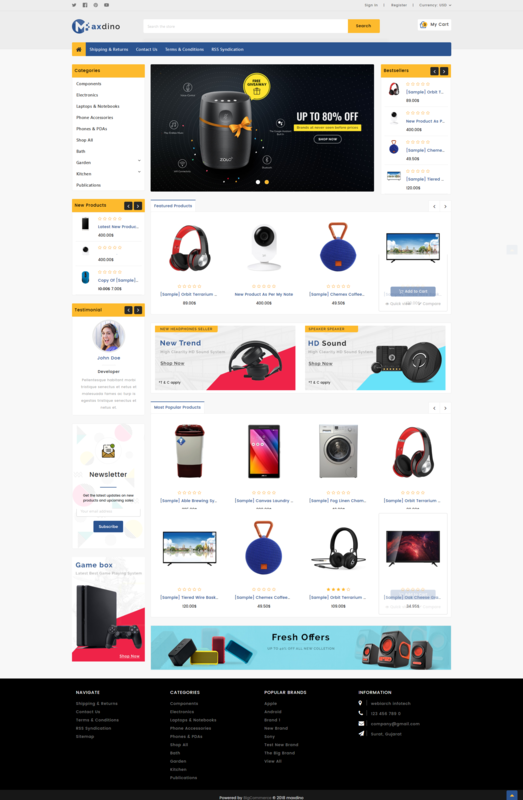 Compatible browsers Product tab slider NewsSletter Responsive Design Dynamic Layout Cloudzoom and images slider Customized Product Page Testimonial Guest Checkout Blog page Category page Google Rich Snippets Integration HTML Documentation All images are copyrighted to their respective owners. Images used in live preview are not included in package.